Donard /Glen Camogie Registration day will take place on February 8th 2014 in Donard Hall from 10 am to 1pm. The Kearney family wish to thank all those who supported the Christmas Card Fundraiser for Friedreich’s Ataxia, it was a great success with all proceeds going to Ataxia research. 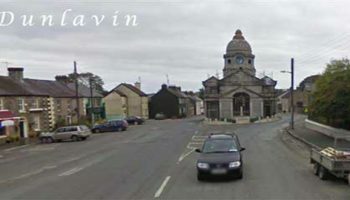 Dunlavin & District Forum are holding a Race Night in Burkes Pub on Saturday 8th March to raise funds to maintain these lights and hopefully add some new lights to the town next year. Time to get your horse back on track. Your continued support is very much appreciated. Why not give your home a nice lift with a piece of furniture from the Benedict and Beatrice range which is on display in Marvin Architectural Showrooms. A great display of colour and charm in the pieces of furniture. Call Ann on 406200. Sympathy is extended to the family of Francis McCabe who died last week. Francis is mourned by his wife Tess, sons Robert and Frank, brothers Ronnie and John, sisters Clare, Lena and Eileen and many relatives and friends. May he rest in peace. The following events are being organised as fundraisers for the new church floor in St Nicholas of Myra Church. There will be a party night on the 16th March in the Imaal Hall, where Sean Daynes will shave his beard off provided we get sponsorship for over €2,000. The operation transformation/fundraiser is going well and we have another group doing the “Run-a-muck” fundraiser on the 1st march. All proceeds will go towards the Church floor. It is also hoped to do some Line Dancing on March 16th and our own “Gedward” might even make an appearance on the same night. Music on the night will be by “Sister Act”. While the church is closed for these renovations Mass is being celebrated in St Nicholas’s Church Of Ireland Church at 8pm on Saturday evening and 10am on Sunday mornings. If you want your say in the upcoming local elections make sure you are on the register of elections. Telephone 0879693960 for application form. Why not drop into the newly refurbished library in the Market House. Great selection of new books especially for children. Membership is free, free WI-Fi and internet access. Opening hours Tuesday 6.30pm-8.30pm, Wednesday 3pm-5pm, 6.30pm-8.30pm.Friday 10.30am-1pm and 3pm-5pm. Saturday 11am-1pm. Closed Saturdays of Bank Holiday weekends. Juvenile Registration Night – Friday 7th Feb from 6.30pm-8.30pm for all age group U6 up to Minor. We would also be delighted for more parents to get involved. Clothes Collection – Every Monday Night from 7.30p-9.00pm also Saturday mornings from 11.00am for the month of January. Disco for National Schools – Friday 14th Feb from 7.30-9.30pm in Imaal Hall, admission only €5 for all children attending National Schools. St Nicholas GAA AGM – Tuesday 21st at 7.30pm very important we get a good turnout in order to continue the success on & off the field of this great Parish Club. Monster Bingo – Sunday 9th of Feb at 3pm in Dunlavin Gaa Club. Excellent cash prizes to be won on the day. 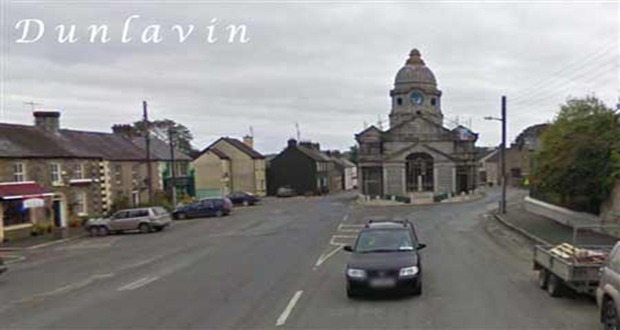 The February meeting of Dunlavin Flower and Garden Club will take place on February 12th 2014 at 8pm in the Jonathan Swift Hall. It will be a work night, bring your own flowers. Brenda Delaney is unable to attend as had been arranged. New members welcome. If you fancy a big challenge for 2014 why not train as a first responder. New Recruit Training April 5th & 6th 2014 in The Royal Hotel, Glendalough, Co. Wicklow. The friendship club has resumed on Fridays at 3pm in the Parish Centre. Lots of activities and outings.New members and helpers welcome. Please keep you used postage stamps for St Patrick’s Missions Kiltegan who can use them to fundraise. Used stamps can be dropped into the parish office anytime. Thanks to all who have donated stamps over the past years. Bingo takes place in the Imaal Hall every Saturday night at 9pm.Jackpot waiting to be won now stands at €1200. The funds raised by the Bingo goes towards the upkeep of the Imaal Hall and well worth supporting.